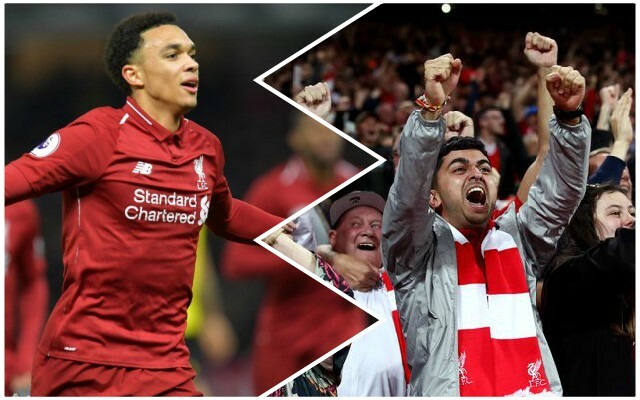 Liverpool’s Trent Alexander-Arnold is all set to sign a new contract, it emerged this morning, and Reds fans understandably reacted with delight. The right-back is not expected to be risked against Crystal Palace despite recovering quicker than initially anticipated would be the case from a knee injury originally thought to need a month to heal, but he has plenty of time left in his Reds career at the age of just 20. To be featuring so frequently at his age, and in a defence performing at such a high level, shows just how good Trent is already – not to mention how good he can become. These Reds summed up the mood once it was confirmed that talks are at an advanced level over his new contract and that there are not expected to be any complications – it’s safe to say it was a positive reaction! Great news on Liverpool FC and Trent Alexander-Arnold contract discussions. Club securing talent long into the future. Stark contrast from how #LFC operated only a few years ago. It’s great to see the club being proactive and getting on with the contract discussions well in advance of there being complications. After Robertson’s new deal earlier in the week, it seems Trent will not be far behind. We just need the three points this afternoon and it will have been the perfect week!